Does your smile appear crooked or crowded due to misalignment? 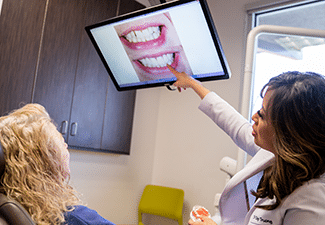 If you’re ready to address your misalignment, then talk to your Richardson, TX, dentist. We have clear aligners designed to address misalignment. Find out how we create these aligners and what benefits Invisalign® offers over traditional metal braces. What Does an Uneven Smile Do To My Oral Health? When you have an uneven smile, this often provides places for food particles to become trapped. Even if you brush and floss, you may not be able to remove these bits of food. Over time, bacteria then break down the particles in a process that eventually causes a greater risk of tooth decay and gum disease. 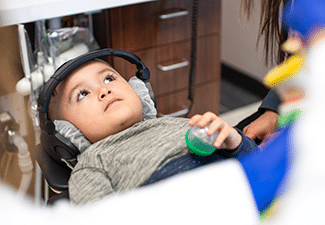 Other negative impacts of misalignment include jaw joint strain, which increases the chances of TMJ disorder and bruxism developing, leading to discomfort and in some cases, worn down or damaged teeth. Correcting your misalignment will help you enjoy a beautiful smile while also improving oral health. We don’t need metal brackets and arch wires to reposition the teeth. Instead, we gather a series of detailed digital images of your smile. At an Invisalign® lab, experts employ these images to design and fabricate the aligners from a clear plastic material. Once you receive the aligners, you begin wearing them daily to alter the position of your teeth. You should wear a set of aligners between 20 and 22 hours daily, removing them only for special occasions, before meals, or prior to brushing and flossing daily. Every two weeks, you will upgrade to a new set. We will have periodic checkups so we can monitor your smile during treatment. If worn as the dentist recommends, your aligners could correct your smile in as little as a year. For teens, treatment may require up to 18 months as the mouth is still growing and developing. How do you get started? First, schedule a consultation. We will talk to you about your smile goals and then perform a detailed exam. 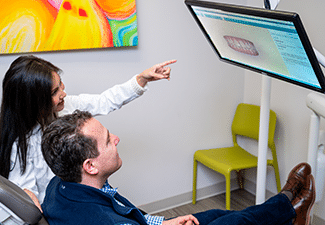 Employing digital x-rays and intraoral cameras, we can assess your oral health and discover the cause and extent of your misalignment. From there, we decide if clear aligners are the right choice and if so, we take digital impressions of your smile. If you have an uneven smile, then please talk to our team today. 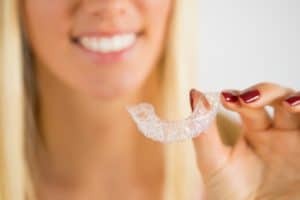 Find out if we can help you enjoy a more attractive smile with clear and comfortable plastic aligners. 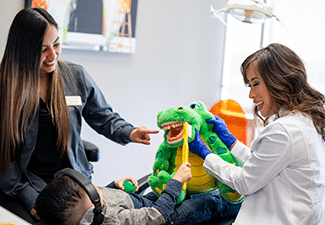 Our team wants to help you enjoy improved oral health with our cosmetic orthodontics. 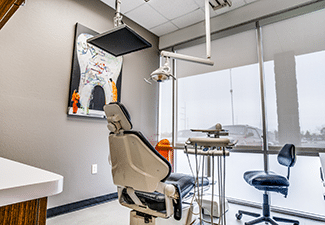 For more information on our clear and custom-made aligners, schedule a consultation by calling the Viva Dental Family Dentistry office nearest you at (214) 337-7800 (Dallas) or (972) 437-6000 (Richardson).